For an author looking to write a sprawling soup-to-nuts showbiz biography, it would be difficult to think of a better subject than Mel Brooks. For starters, his long career has taken him to practically every corner of the industry, from the Borscht Belt to Hollywood to Broadway, and has seen him triumph in every one. For another, he has worked in so many capacities over the years—as a comedian, writer, director, actor and producer—that it allows the reader the chance to learn how his talents grew and developed, sometimes in the most unexpected ways. Finally, and perhaps most significantly, his life has managed to conform to the kind of narrative template that seems so perfectly programmed—humble beginnings leading to massive success that gives way to a downward spiral before his fortunes change again with an incredible late-career comeback—that it might all seem contrived if it weren’t all true. And yet, Patrick McGilligan’s Funny Man: Mel Brooks (Harper Books; $40) is a curiously uninteresting work, long on facts but containing little insight into either the man or his work, and even less curiosity about what led him to become one of the driving and influential forces of American comedy in the 20th century and today. Part of the problem, as McGilligan himself alludes to in the afterword, is that many potential interview subjects either declined to participate entirely or would only do so anonymously so as not to raise the wrath of the notoriously litigious Brooks. The ones that were willing to talk on the record seem more interested in settling scores than in providing any real insight into Brooks and his work. Through their eyes, Brooks comes across like a real-life Krusty the Clown, a brash, vain, and obnoxious lout driven by equal parts naked greed and an innate desire to always be the comedic center of attention who is cheerfully willing to shove collaborators aside at the drop of a hat rather than publicly acknowledge their contributions. In his personal life, we hear at length about how often he cheated on his first wife, Florence, and largely ignored their kids over the years. His second marriage to the late Anne Bancroft was usually considered to be one of the great showbiz marriages but the book attempts to cloud that as well by dredging up things from on-set conflicts (such as a Brooks blow-up on the set of “Fatso,” Bancroft’s first and only work as a director that he was producing) to various innuendos about further (and unproven) infidelities. If all you’re looking for is dirt, then Funny Man will no doubt satisfy you. Funny Man: Mel Brooks is not entirely without merit. McGilligan, who has written biographies on the likes of George Cukor, Alfred Hitchcock, Clint Eastwood, and the pre-“Citizen Kane” Orson Welles, is an expert researcher and has yielded a number of interesting facts regarding Brooks and his early steps into show business, especially in the sections covering the time he worked for a producer who would inspire the immortal character of Max Bialystock and his occasionally tempestuous time working on “Your Show of Shows.” These details are intriguing on some fundamental level, but while McGilligan conveys them in a straightforward manner, he never finds an entertaining or informative way to bring them to life. 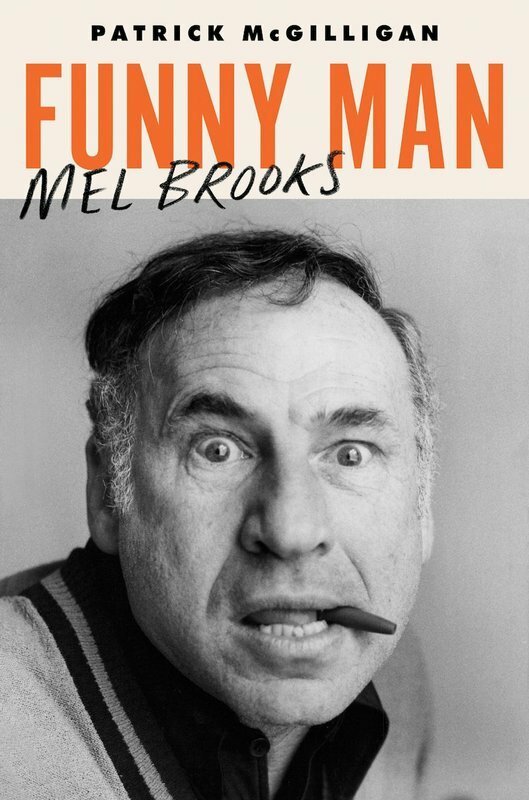 There is a potentially great biography to be had in the life and work of Mel Brooks but this book is not it. Instead, Funny Man: Mel Brooks is a work that fails at being anything other than a source of gossip—it could be the perfect subject for the next Bialystock & Bloom production.